Beginning with a high school service-station job pumping gas and turning wrenches, Tom has usually managed to work around cars. Earlier, Tom was often found holding the flashlight for his father while he performed some needed repairs on a family vehicle. During college, Tom worked for Chrysler as a product specialist, staffing one of six experimental in-mall showrooms set up around the country. Tom also tried his hand at selling cars, spending several months learning (but not mastering) the trade at a domestic-brand dealership in the early 1990s. He has also worked in fleet leasing, specializing in Chevrolet and GMC light-duty trucks. During his time as a market research analyst and focus-group moderator, Tom worked with manufacturers and suppliers including General Motors, OnStar, and Porsche. 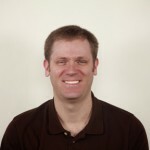 Tom joined Consumer Guide in 2001 as an editor and became Associate Publisher in 2008. Tom moved into the publisher's role in 2012. Tom is also president emeritus of the Midwest Automotive Media Association. He lives in suburban Chicago with his wife, daughter, two cats, about 50 fish, and several antique German tube radios. He is often called to chat about cars "on air." Tom is a regular guest on Drive Chicago on WLS radio, the Nick Digilio Show and Bill Leff and Wendy Snyder Show on WGN radio in Chicago, and on the nationally syndicated Greensense Radio and Bob Long's AutoWorld programs. Tom’s blog posts have earned him two International Automotive Media Award gold medals. 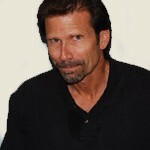 A car nut since his first breath, Rick has been an auto editor with Consumer Guide since 1990. As a former automotive technology major, ASE Certified Technician, and technical editor for an automotive trade publication, Rick is the resident nuts-and-bolts guy, as well as the department's motorcycle editor. For more than 20 years, Rick has contributed to Consumer Guide's new-car evaluation program, written countless online articles, and edited dozens of hardcover titles covering the automotive spectrum. He was awarded a silver medal at the International Automotive Media Awards in 2008, followed by a Bronze in 2009. Rick has attended TrackTime driving school and performs some of Consumer Guide's timed acceleration tests at a remote location yet to be discovered by the local authorities. He has been interviewed on TV, is a regular guest on local radio, and holds a seat on the International Car of the Year jury. 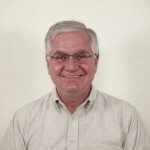 John Biel joined the Consumer Guide auto staff in February 1994. Since June 1995, he has served as Editor-in-Chief of Collectible Automobile, Consumer Guide's award-winning publication devoted to automotive history, but he remains a part of the Consumer Guide new-car evaluation program and has contributed to CG book projects. One of his Daily Drive blog posts won an International Automotive Media Awards silver medal in 2015. In addition, John is a North American Concept Vehicle of the Year juror. Following graduation from Ball State University, he was a newspaperman for almost 15 years before coming to Consumer Guide. The Chicago resident is married and has a son. A lifelong car enthusiast, Damon Bell joined Consumer Guide in 2000 as the Research/Acquisitions Editor of Collectible Automobile magazine. He became Consumer Guide's Associate Auto Editor in 2003, moved up to Auto Editor in 2005, and transferred to his current role as Senior Auto Editor in spring 2012. In addition to his duties for The Daily Drive, Collectible Automobile, and Consumer Guide’s new-vehicle reviews, Damon has worked on several award-winning hardcover books, including Hot Rod & Custom Chronicle, Cars of the Classic '30s, American Cars of the 1950s, and Mighty Muscle Cars. Prior to joining Consumer Guide, Damon was the Engineering Graphics Coordinator at Revell-Monogram, the world's leading model car company. Damon lives in Chicago with his wife and two sons, and he enjoys building model cars and playing ultimate frisbee in his spare time. He is a sucker for any film or TV show with a good car chase, and admits to seeing every single Fast and Furious movie. Harry Kapsalis has been involved with Consumer Guide since 1997. 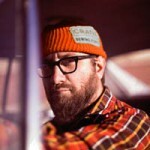 In late 2007, he assumed the role he currently possesses as the Art Director for Collectible Automobile magazine. Before coming to Consumer Guide, Harry studied design and earned a degree in photography from the University of Illinois at Chicago. Harry has had a passion for automobiles since childhood, and it continues to grow with every passing day. He is an avid collector of vintage automotive paraphernalia and is a proud owner of a 1966 Pontiac GTO and 1962 Pontiac Catalina. Frank Peiler joined Consumer Guide in 1972 as the young company's first art director and only its eighth employee. Though responsible for the look of books and magazines on topics as varied as guns, golf, bicycles, and bridal fashions, Frank brought with him the special knowledge and experience of a lifelong car enthusiast, which quickly benefited Consumer Guide automotive titles. Within a few years, he was named a company vice president and headed a much-expanded art department necessitated by CG's steady growth. After spearheading the company's successful move into the "classic car" realm, Frank was named Publisher of a separate automotive division formed in 1979. Five years later, he conceived Collectible Automobile magazine as the kind of old-car periodical he himself wanted to read. Popular from the first, CA marked its 25th anniversary in 2012 as the recognized leader in its field and the winner of numerous awards. 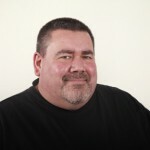 In recent years, Frank has lent his executive and creative talents to Consumer Guide's online operations. A member of the Society of Automotive Historians, he also serves as a permanent juror for the North American Car of the Year Award, presented at the North American International Auto Show in Detroit.